How does being L, G, B, T, Q or + make you a better candidate for office? What would you like to tell QSaltLake readers? My decision to run for office is my love of politics. Also, I don’t feel that Tooele’s voice is being heard. So, I know I can make a difference. I feel I’m the better candidate because I’m part of the gay community. I have a personal experience that can relate to voters — fighting for our voices to be heard. To the QSaltLake readers, I’m offering my voice in the House of Representatives to advocate for LGBTQ rights, and I stand strong for District 21. I’m running for office to be an advocate for Salt Lake City residents. It’s most apparent that issues at the city level need a partner in the legislature. Representation matters. It’s important to have someone with an LGBTQ lived experience working with state lawmakers. I’d be a voice for the queer, marginalized, and underrepresented communities. As a Councilmember, I’ve seen firsthand the need for collaboration and bridge-building with the Utah State Legislature. I’m here to advocate for progressive causes like protecting public lands, increased funding for education, and legalized cannabis. I have the experience and the capacity to be a good partner for our city in the legislature. I hope I can count on your support. I was disgusted by our elected officials who failed to stand up for the Utahns Trump attacked — the same people that elected them. I also felt called to share the message with all my LGBTQ community that God loves them just as they are. As a gay Hispanic I have experienced discrimination, injustice, and inequalities. Those experiences helped me understand that the human experience for everyone is the same. We all want treatment of respect, equal opportunities to thrive. 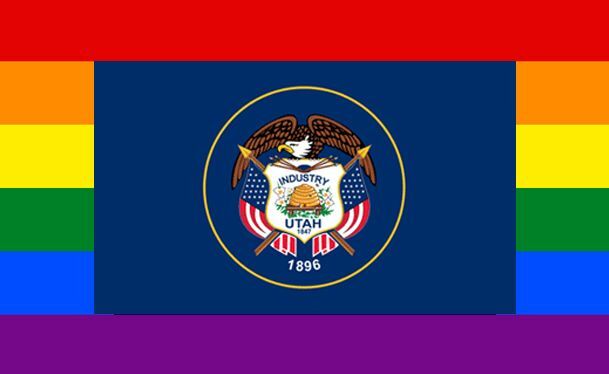 I believe that Utah is for everybody, including LGBTQ+ people; and that God is for everybody, including LGBTQ+ people. God wants us to know that sometimes humans get His message wrong and He loves us. And I’d love your support with my campaign. I don’t believe being gay makes me a better candidate. I do believe, however, being gay has instilled a unique understanding of other people. Based on my life experiences, I’m able to better understand the issues the LGBTQ+ community faces. Our fight forges on; it’s nowhere near being over. We have fought endlessly to preserve our freedoms, yet all aspects of them are under attack. Join me and the many other candidates across the state whose commitment is providing an alternative to the political norm. After serving on the Springdale Town Council for six years, I was highly encouraged to run for Senate District 28. With the concerns in Utah over our public lands, healthcare, education, and many other issues I’m compelled to not let the Republican incumbent go unchallenged again. Ironically, I’m finding it easier to run as an openly gay man in Southern Utah than as a Democrat. The people I have talked to thus far are supportive when I talk about my husband, but take a step back when I say I’m the Democratic candidate. Everyone needs to stay involved. Vote, sign up and encourage others to join “iwillvote.com“. Support your candidates, volunteer, donate and be active. My interest in politics started in the third grade. And I started this campaign by fighting for the rights of young politically motivated citizens of this great state. I was turned away twice; told I couldn’t run because of my age, due to a conservative interpretation of the state statute. But in the end, I won the battle. I have lived in District 21 since I was 8 years-old and I look forward to raising my own family here. I continually engage in making this community a better place. For instance, I’ve volunteered my time as McGruff the Crime Dog and taught self-defense classes to teachers, church groups, and LGBTQIA+ communities. I express my gratitude for this opportunity and hope you’ll never hesitate to contact me with any questions about my campaign or concerns about our community. I will work for you.